The Nassau County Police report the details of a house fire that occurred on Monday, September 12, 2016 at 6:30 a.m. in Freeport. The two off duty officers along with the 5 occupants of the home were treated for smoke inhalation at an area hospital and released. Freeport, NY - September 12, 2016 - The Nassau County Police report the details of a house fire that occurred on Monday, September 12, 2016 at 6:30 a.m. in Freeport. 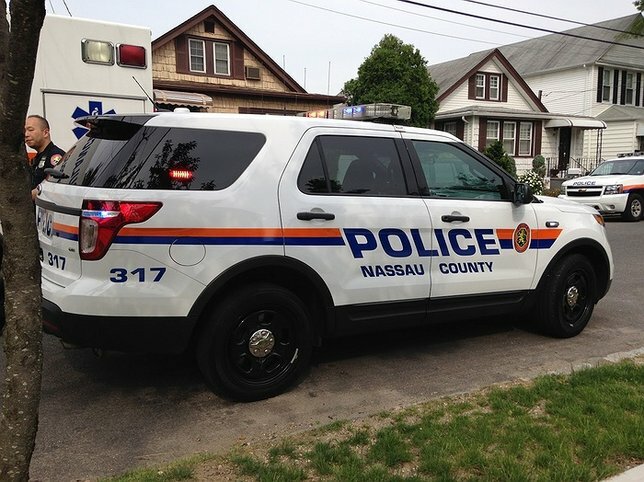 According to police, an off duty Freeport Police officer and an off duty Nassau County police officer were both on their way to their respective jobs when they observed heavy smoke coming from a Roosevelt Avenue residence. Upon their arrival the officers discovered an occupied home engulfed in flames. The officers entered the residence and removed five (5) people from the home with the assistance of a responding Freeport Police Officer. The two off duty officers along with the (5) occupants of the home were treated for smoke inhalation at an area hospital and released. An elderly female, was admitted for treatment of an undisclosed injury. The investigation into the cause of the fire is ongoing at this time. Charles Rutenberg Realty Broker/Owner Joe Moshe Comments on the Rise in Existing Home Sales in Oct.
Subject: LongIsland.com - Your Name sent you Article details of "Two Off Duty Police Officers Rescue 5 from Freeport Home Engulfed in Fire"